I’m headed over there now, Jennifer. Glad to see you back on line 🙂 Hope all is well. Off to go check out the new site. I haven’t made a lot of comments on your blog, but I have enjoyed it and will follow the new one! I’m very excited to check it out – I enjoy writing about home towns by someone who has gone through a major international experience. Right – I’m off to link up there! Welcome to the west coast, Jennifer! I did make it to Sardinia last September and fell in love with it, also found lots of basketmakers! I am in Seattle if you ever want to have coffee! 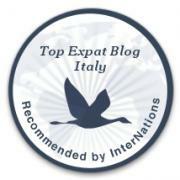 ( After your kind offer for coffee near Castelsardo) and thanks for all your Sardinian advice! Hi Polly! How did your Sardinian adventure go? I hope you had a great time. You’re very close to me and I may just take you up on that coffee one day. Wishing you well. Hi, Jennifer. Good to find you again. Back in Italy things are, well, pretty much as when you left. I’ll follow you to Canada and see what you’re up to.